There are many stories to be told after half a century of political life - especially when most of those years were spent first heading key ministries in government, and then, as prime minister. 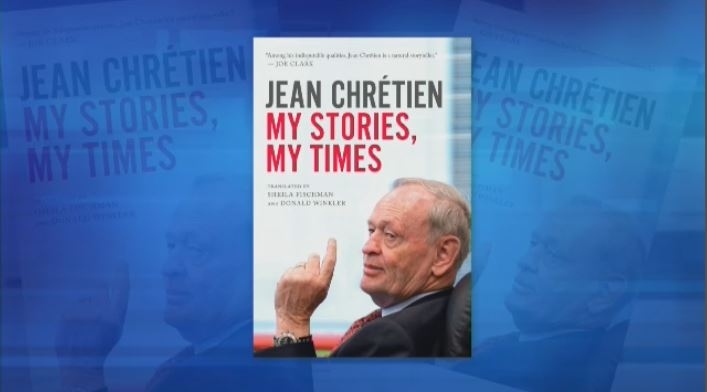 The Right Honorable Jean Chretien joined Mutsumi Takahashi in-studio to discuss his new book, "My Stories, My Times." It offers a behind-the-scenes look at power and politics in Canada, and was inspired by stories recounted over the Chretien family's dinner table. "I'd become a raconteur because, you know, I have so many stories," he explained. "[My grandson Olivier] said 'grandpapa, these stories will disappear - why don't you write them? I said 'I'm not a writer,' but one day, I took my pen and I wrote the first one about the ambassador in Peru." "And after that, I wrote another one. And eventually I got used to it," he added. Cover art for "My Stories, My Times"